Beautiful, Audra. I’m ready for a trip like that. Oh yeah, the point was I can do it here too. 🙂 And the point about our men. Got that too. Precious and beautiful! I can totally see you on a trip like that! And I know that you already are ministering to our men through your beautiful and needed books! Great story Audra. You know the old saying, “Behind every good man there’s a good woman.” As far as I’ve seen, that is absolutely the case. The needs of a man in respect and the needs of a women in love, are the very precepts from God that form a perfect union. One without the other and it’s two people. Only with the bond of God in a marriage can the two become one and both better and stronger for it. Thanks for saying what our society is too uh-scared to admit… yeah, I said it… Uh-scared… I’m not uh-scared to say it or type it! My desire is to live out a great story Floyd. The story God has laid of out for me, it’s just so much easier to read about it or talk about it, rather than doing it! But those are my happiest times, when I’m in the center of His will, sharing His truth. I don’t think there is much fear in you by the way….I’ve always admired your honest courage. I’d say you’re living that story out and we’re blessed by it. I’m not sure if it is a lack of fear I possess or common sense! Floyd, I’m thinking the perfect pot of both? That would be quite generous…. I’ll take it! Love it. Question for you, though…in what ways do you think our culture and/or even our churches emasculate and marginalize men the most? The culture emasculates our men by constantly pushing for a female dominated society. We don’t value human life and want to provide more options for our men to walk away from their children. We then come down on them for not knowing how to be fathers. It isn’t something that a woman can teach a boy. No one is teaching/mentoring our men on how to be heroes and how to respect themselves and others. Very few people are stepping up to provide an answer to their questions. It’s as if, if we tell them they are good, we are saying women aren’t. God designed us to be co-creators, not for one to rule over the other. What would you say is the predominant way our churches are marginalizing our men? Great response Andra…it was a great question, set up but the Lord for your right on response. This one reason I even blog in hopes that women will want to be a kind courageous wise hearted women as God calls them in Exodus as they were building the tablernacle -(KJV calls them “wiseheated or willing hearted in other translation). Do you have a button I can put on my blog? I don’t have a button, but I so appreciate your willingness to post it! You have taught me again in your comment, I love the wisehearted or willing hearted, may we always be that way Betty. Bummer. My response wasn’t posted. Without a complete rewrite, I’ll say that I think one of the ways churches marginalize men is by not, as a whole, providing services which appeal to men–especially men who are introverted, and who are new or shaky in their faith. We don’t (again, broad brush strokes, here) tend to court men as much as we do women and children, in my opinion. I love my church, but even there, I don’t think we truly have a spot for men to grow and flourish as leaders of our families and communities. Sure, we do if the men are already “bought in” to the system, but not if they’re kicking the tires. Since our culture has denigrated them for years, it might be time to start rebuilding–starting with our young boys. I realize that men are responsible for making an effort to know Jesus and to meet in community with other believers. However, for us church widow ladies, we would desperately love to offer them something is more enticing than staying home to watch sports. Our church here in Scottsdale does a great job providing for all our men with a come as you are invite to everything. I realize though, that we are the exception that needs to become the rule. Just out of sheer curiosity and also to pray for it, what kind of things would say would genuinely attract Doug to the church? Let’s pray for a strong, cool Christian man to cross Doug’s path and lead him home. Okay, Audra, like Rena, I hear your true voice saying loud what our hearts so desperately need to understand. This is where you sing a resounding tune, pressing us forward and leading us to stand by our men. Ginger, your words are so beautiful sister! You are such a great writer. Thank you for sharing truth with me and for blessing me with your kindness. I am so glad I skip over to your blog after commenting on Floyd. My courageous wise hearted sister you have spoken my heart in your words. After many years of living God story for me I know for sure it was because I was willing to be a helpmate to a Godly man. It is my calling, I am commanded to be a missionary where ever God plants me. We have seen first hand also how our eyes can affect us which is why it is great for God’s people to reach beyond their world and touch others. It is something we can do in the USA but as we have learned since taking a stateside ministry with New Tribes there is much to distract us here. 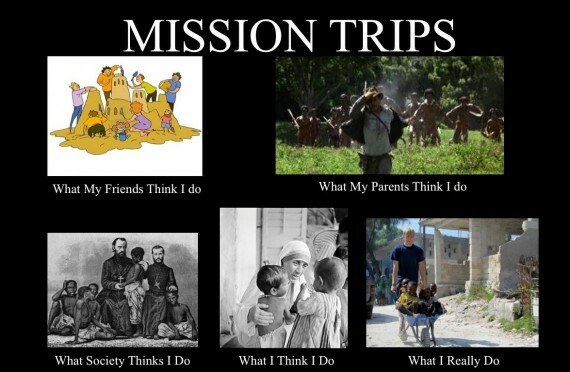 When you go on a mission trip the focus for those few days is other totally. We need to get back to a “other” minsitry, that was Jesus ministry. Keep up the good writing, we women need more women speaking truth dripping with the love of God. Blessing my sister. Thank you for your wonderful, wisdom filled comment. It is amazing what can distract us here, as you said. The enemy of our soul will use anything and everything to thwart our godly plans. Thank you for being a woman of faith, a woman after God’s own heart and for loving your man the way God commands. Obviously you’ve been deeply blessed by being obedient. I am humbled by and truly appreciate your encouragement. Me again. 🙂 The introverted, I-don’t-need-faith-when-I-have-intellect type of man is perhaps one of the toughest people to reach. Throw in any distaste/hurt from a previous church experience, and you get the near impossible. But God. I guess my answer would be…patience and persistence and use of small, small groups. For me, that has looked like really taking the time to develop couple relationships with some of my Christian friends, who know and love D just for who he is. While none of the husbands in the friendships would hog-tie D and force him to church, neither would they deny who they are in Christ. These folks come to our house–D’s turf–and do game nights, and love him right where he is. Once he’s more comfortable and/or has an established chemistry with them, he trusts enough to go to their house, etc. Since D is an introvert, it may be a long time before he’s comfortable worshiping en masse. Persistence comes in by giving an invitation here and there, but not forcing the issue. Loving unconditionally despite the “I’m not ready.” answer given. I realize I’ve hijacked your comments about my specific issue. But perhaps other readers face this–either they are “unequally yoked” or have a friend who is. I also think, patience in waiting on God to minister is key–and something I need to work on, as I like (ahem) to control things. (repenting). A Christian brother acted in haste, and I think this is probably one of the reasons D has lost a bit of trust that the church has his best interest at heart…One night we were at a going away party for a friend of mine. D came along, even though 99% of the folks were from my church. As the party went on, he started conversing with a computer guy from my church. Everything was going great. They were best buds–until the guy asked him about where he went to church. D said something about playing golf on Sundays, and that he wasn’t really ready to go to church–that it was more of my thing. The guy’s countenance changed immediately. I stood there in utter shamed amazement as this guy looked at my husband with scorn and said, “That’s really bad. That’s just really bad.” It takes a bit to get over the shock and hurt. And…so I wait. And pray. And very clumsily try to love him back to God. Took me a long while, but I did forgive that brother. You haven’t hijacked my comments, this is a place for conversation and you are much appreciated. My heart aches for the wounds D has suffered at the hands of Christians. This just came to me, has he read Wild at Heart? What about some other books about people who have felt burned at church? Maybe he would feel known through some of these stories about people who were hurt but have pressed on to find another fellowship home. Will pray over those book ideas. Thanks so much.